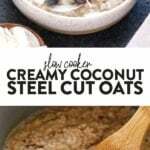 These Creamy Coconut Slow Cooker Steel Cut Oats are healthy, delicious and oh so easy to make. 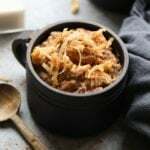 Place a few healthy ingredients in your crockpot before bed and have a gluten-free breakfast ready to go in the morning! 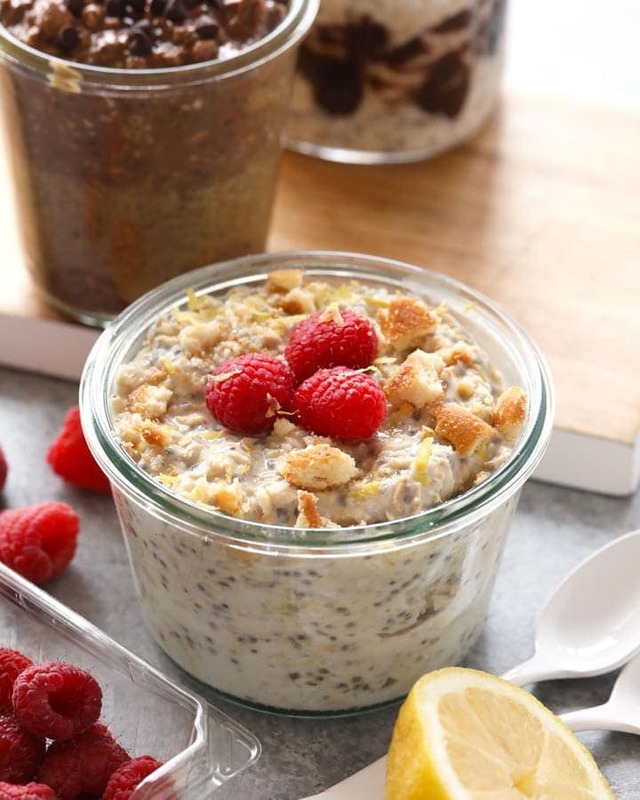 Steel cut oats lovers and meal prep breakfast queens unite! 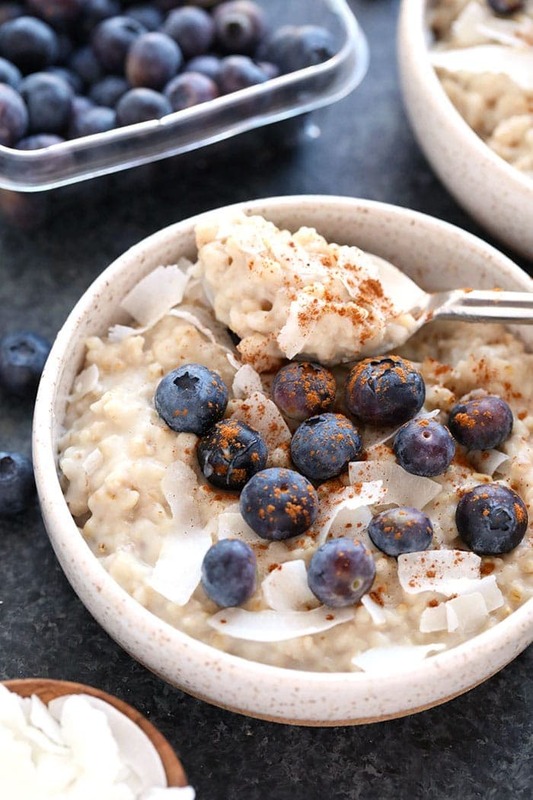 This creamy coconut slow cooker steel cut oats recipe is EVERYTHING. Get ready to throw all of the ingredients (and there aren’t many!) 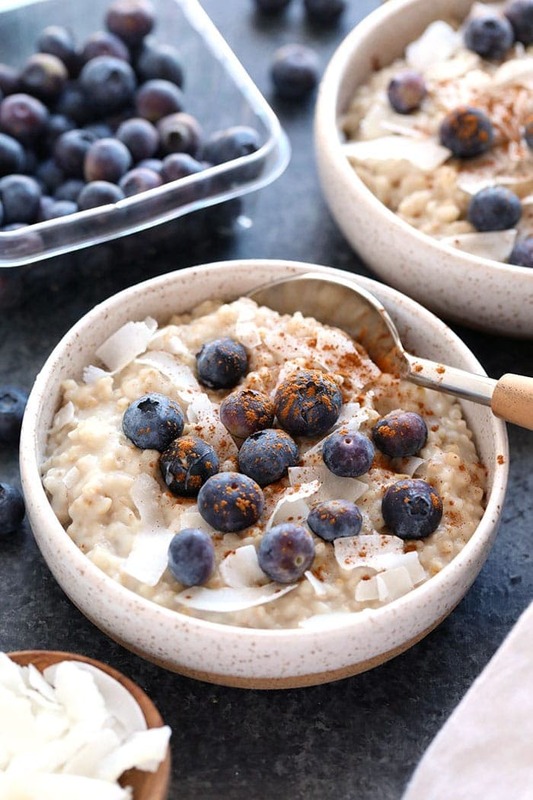 in your slow cooker, flip the switch, go to bed, and wake up to the best coconut steel cut oats of your life. 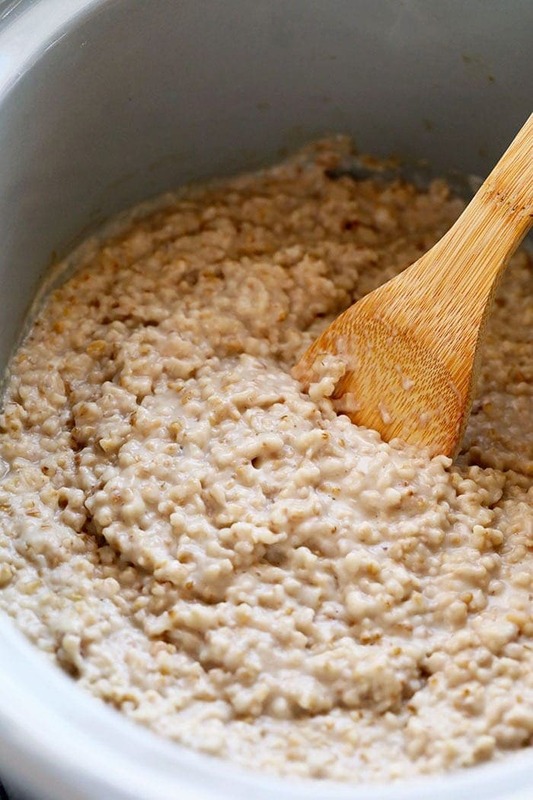 If you’ve made steel cut oats before, you know that they take almost an hour to cook on the stove top. 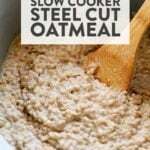 So, the slow cooker steel cut oats method has become one of our go-tos because you really can set it and forget it. 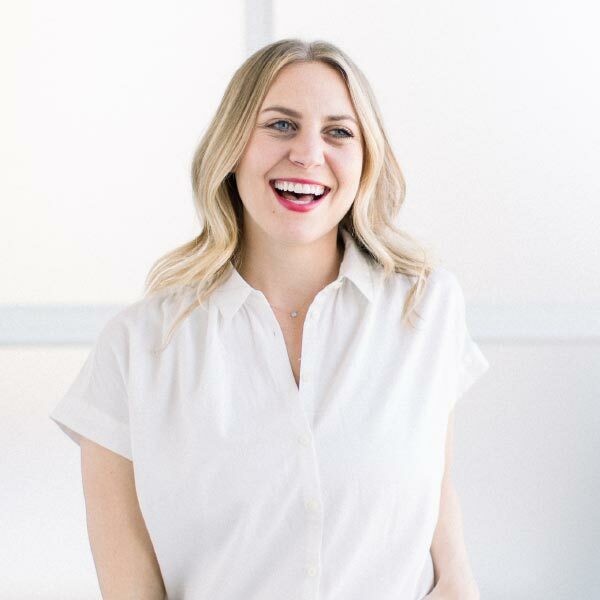 We also love cooking steel cut oats in the Instant Pot because it significantly cuts down on the cook time required for the stove top method. 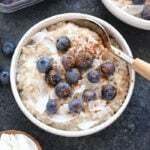 We also love steel cut oats because of how much protein they pack! 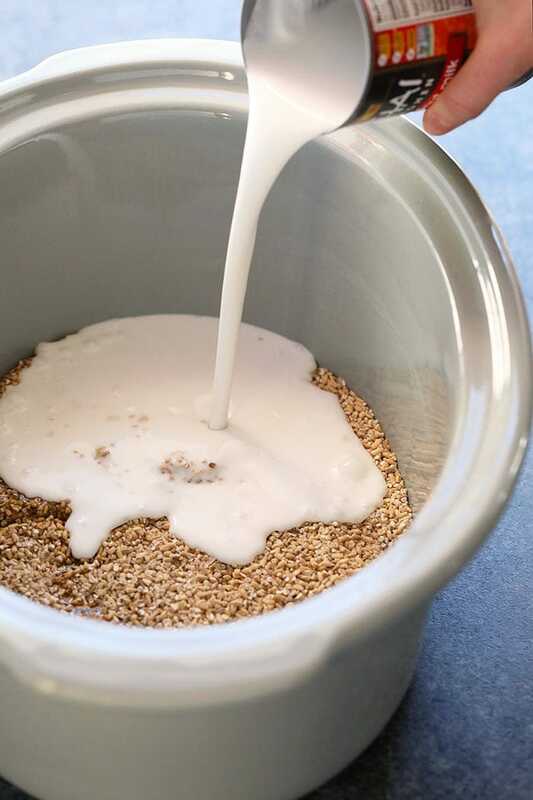 Each 1/4 cup serving of steel cut oats contains 7g of protein. 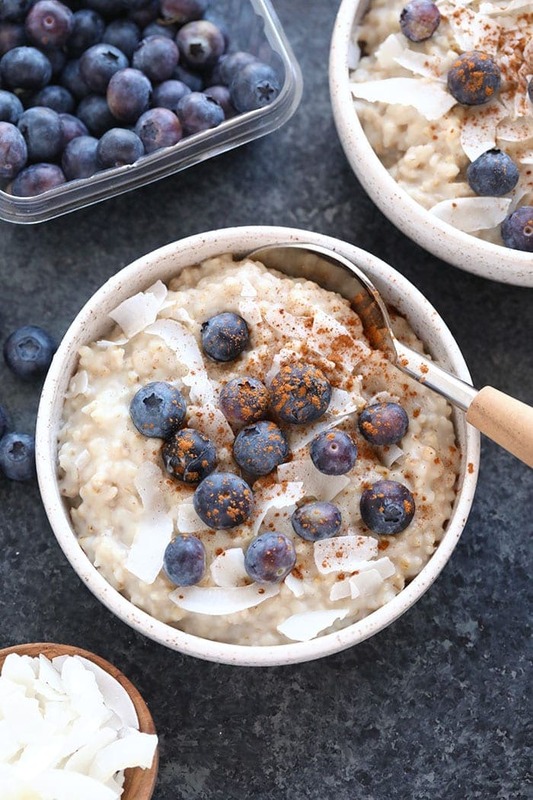 And according to our friends over at Bob’s Red Mill, steel cut oats are one of the healthiest grains you can eat because they’re minimally processed and contain more fiber than other oats. Booya. First, spray your slow cooker with nonstick cooking spray. Then, place all ingredients in slow cooker and stir. Cook on low for 6-8 hours or on high for 2-4 hours. If possible, stir every few hours to prevent sticking. Top with a pinch of cinnamon and your favorite toppings. Nutrition information is calculated using 4.5 cups unsweetened vanilla almond milk and without maple syrup.